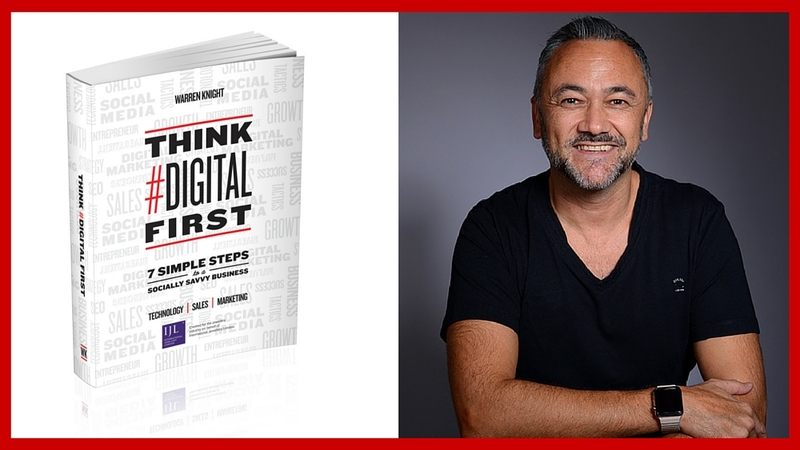 Think #Digital First is essentially a step-by-step guide designed for creative entrepreneurs, business owners and sales and marketing managers that shares with them the importance of having the right mindset to focus on technology, sales and marketing. Understanding your strengths to building the right team around you and knowing the different platforms, social networks and the right digital tools are so important when integrating them into your sales and marketing to help you market your brand online, saving time and getting sales to grow your business. An entrepreneurs first step to building a socially-savvy business is accepting that you are the one driving your business forward. To be able to do this in the most successful way, you need to build a social business from the ground up and in each of the below chapters, Warren’s 7 simple steps are easy to follow, packed full of great detail and demystifies the new digital age. As a 20 year Web designer and SEO person I have experienced the growth of Google and social media first hand. Warren has put together a guide which will help and assist all businesses and entrepreneurs. The content includes all aspects of SEO from on-site to off- site, while also informing and educating on the various differing aspect of social media and its effect on day to day marketing. It also included many tips and useful application guides. A book everyone who wishes to understand the complex world of SEO should read. Great book which is full of simple straight forward advice. It covers the nuts and bolts of the business: how to draft a concise and useful business plan and how to pull together your financial analysis. The book is excellent for marketing tips and social media. Have read it once and am feeling energised and inspired. Am re-reading it now to try and put into to practice all the tips and advice. Looking forward to growing my business! A lot of marketing books that I’ve read are theoretical. Here, Warren takes his actual experience and turns this into a practical how-to-guide to online marketing strategy to help boost your business. It’s a great starting point if you don’t know where to start with SEO, social media, and don’t necessarily have the resources (yet) to outsource this. Highly recommended. From reading Think Digital First I gained a great insight for proper marketing budget allocation. See more Amazon reviews here. A jewellery industry first! Warren Knight and IJL join forces to launch ‘Think #Digital First’. Specially adapted for jewellery retailers, Warrens book ‘Think #Digital First’ will be unveiled at IJL, and will provide a step-by-step guide to building a socially savvy business! In simple steps that are easy to follow, packed full of great detail that demystifies the new digital age, this specially written book provides key take-aways to help retailers market their brand online, saving time and getting sales to grow their business. A limited amount of copies will be printed of this exclusive book and will be sold on a first come, first served basis.